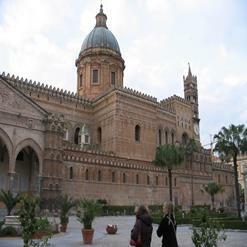 Piazza Garraffello is a magnificent square in city of Palermo located in the district of La Loggia, a historic center of the city. Positioned in heart of the famous market Vucciria, it is an open-air disco in night were DJ and huge crowd seem to dance their heart out here. Moreover, there are many bars right next to the square and hence, visitors can have all the facilities available along with the ultimate enjoyment.